The act of converting a Motte and Bailey into a Village significantly changes the way that the settlement will work, and what you can build there. 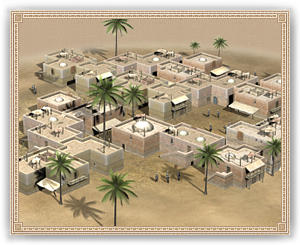 As this village develops into a larger settlement it will be able to produce a wider variety of buildings, including markets and other structures that can improve trade, which in turn leads to a much higher trade income. However, cities must rely upon reaching a certain population level before they can upgrade. They also cannot produce cavalry or missile infantry, and more importantly, any castle-specific buildings that have been constructed here will be destroyed in the conversion process – Check the building browser to see what structures will and won’t survive.